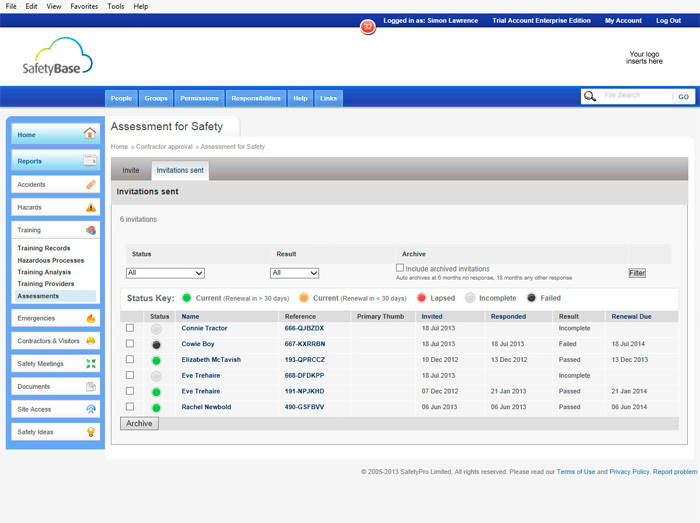 SafetyBase is our cloud application for managing your safety at work. 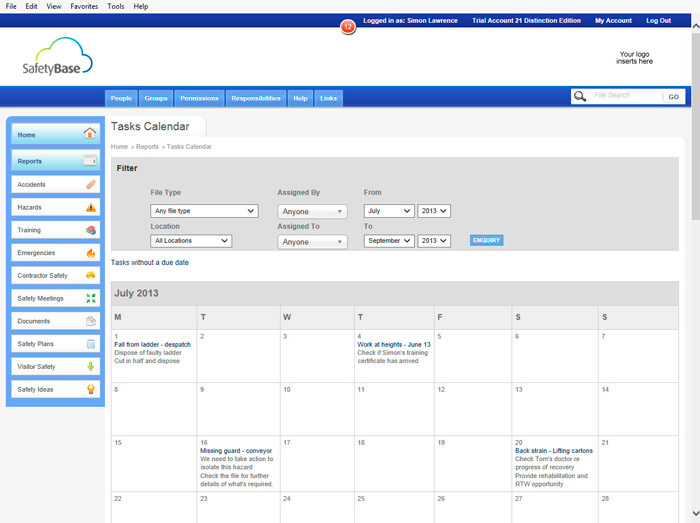 For more detail, visit the SafetyBase Site, where you can apply for a free trial. 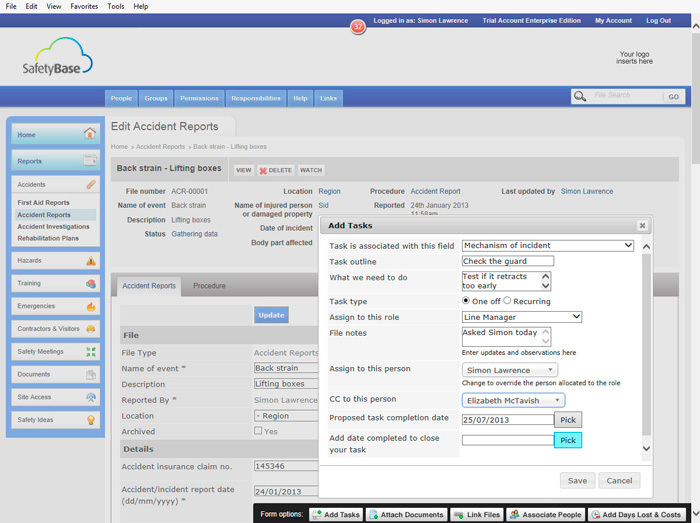 You may feel software is better than paper in accessing and organising all your health and safety data. 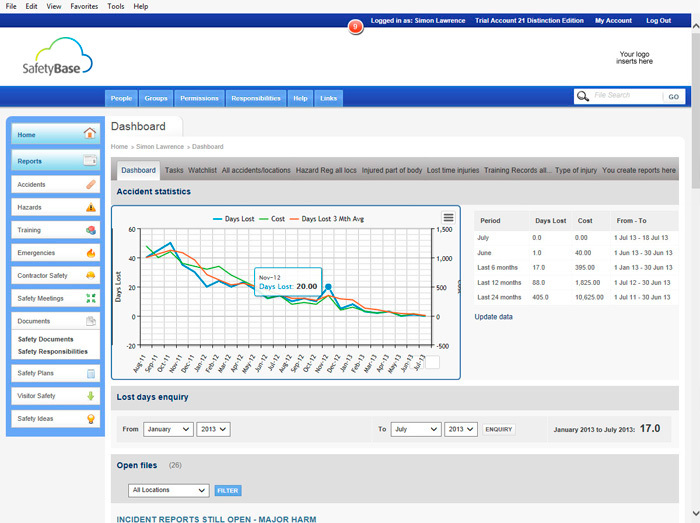 And if you spend significant time recording data and extracting reports off your paper-based safety system, you may want to look at what SafetyBase can do. These days, many people simply prefer using software. That reason in itself is enough! 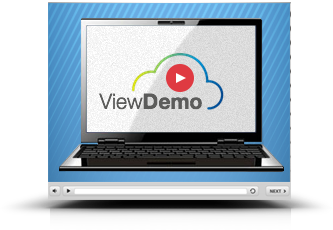 Software keeps your data in one place and organises it into summaries and reports. 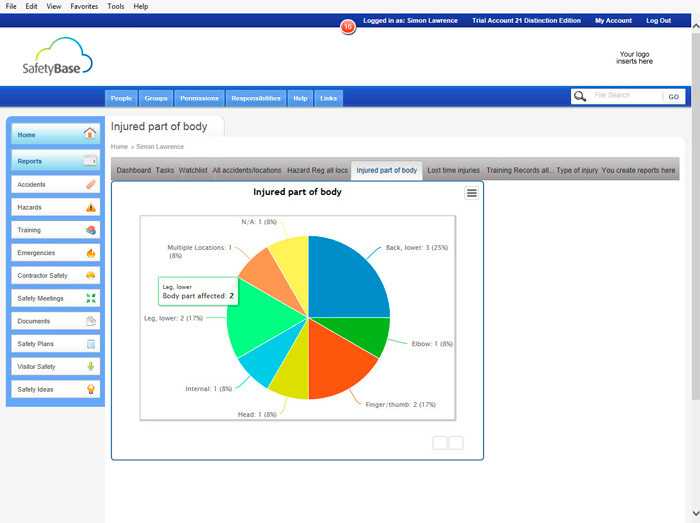 The screenshots below are just a sample of the many features SafetyBase software provides. 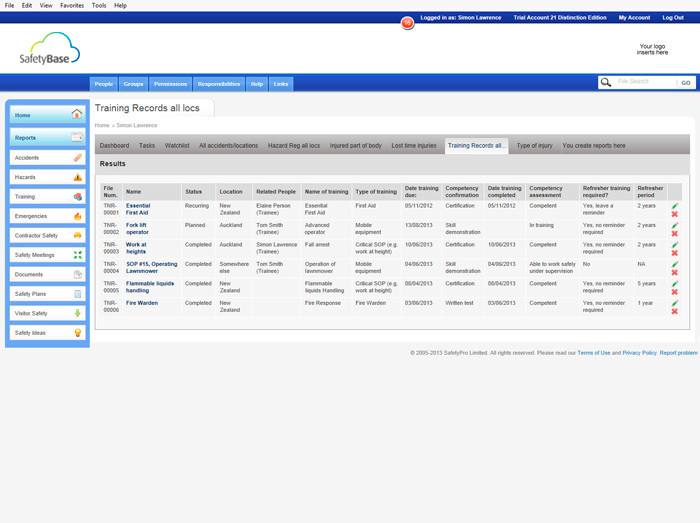 For more information, and to request your free trial, visit the SafetyBase website or call us on 0800 000 267. “A poultry company wanted a product that could be used for both health and safety management and their quality management systems. They opted for our Enterprise (customisable) version of SafetyBase software and outlined a specification for adding a customer complaints and corrective actions module. We created two new file types, linked them, added prompts and some new functionality which allowed inline Tasks (Corrective Actions) to be created and sent to other users even as a report is being completed. “The New Zealand ground operations team of an international airline needed to implement a safety management system. They opted for SafetyBase Distinction Edition and an implementation assistance programme. The programme, which utilises a step-by-step implementation plan, was put in place through a routine of monthly implementation meetings, mentored by SafetyPro. This ultimately led to their approval to ACC WSMP Secondary Level”. 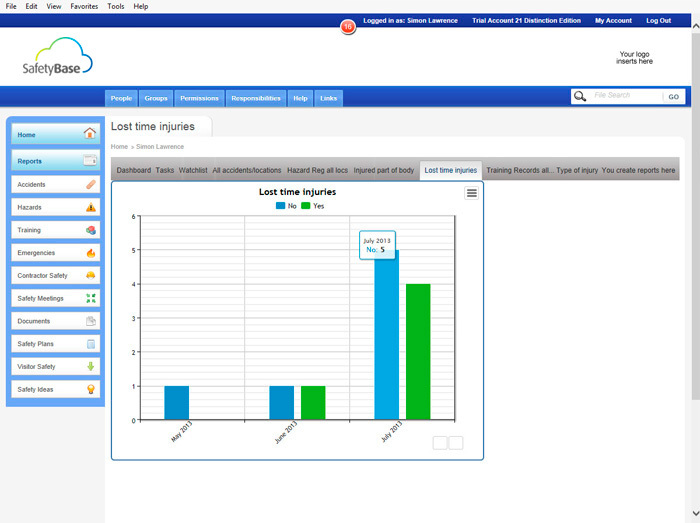 “A telecommunications company knew they would require some quite specific customisation done, so they opted for our Enterprise (customisable) version of SafetyBase software. When they wanted to improve their contractor management systems, they commissioned us to first of all add a site sign on/sign off system, then an online automated safety pre-induction system.